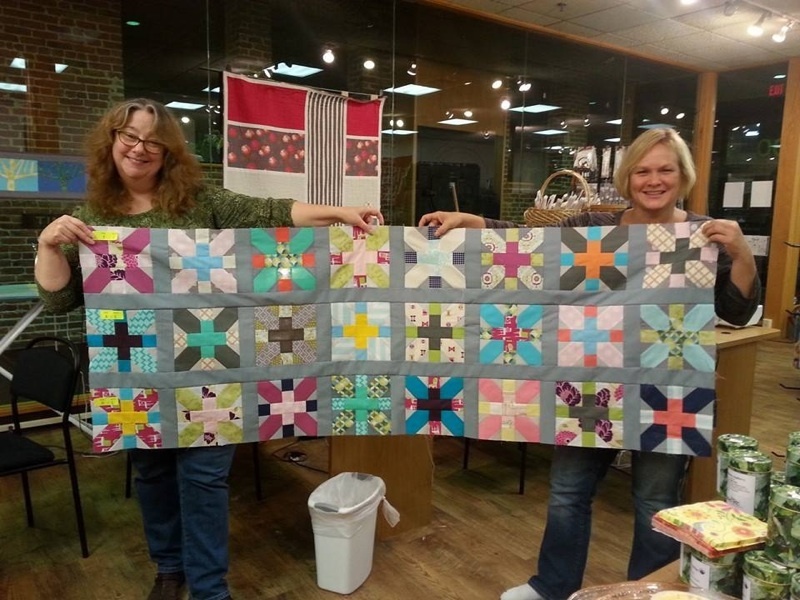 Friday night's sewing relay at Twill was a great success! 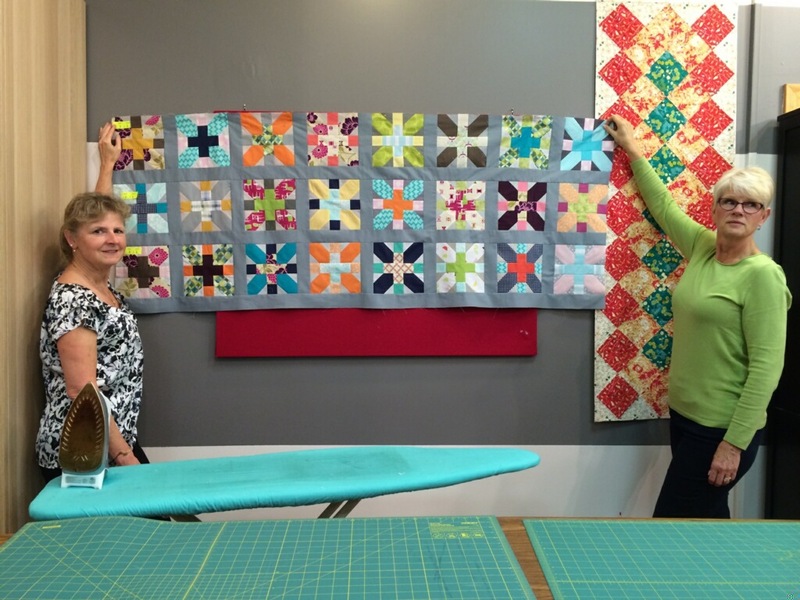 Teams of 4 members put together sections of the quilt top. Thanks to Patty and Marie's great organization and prep work, the blocks went together beautifully! 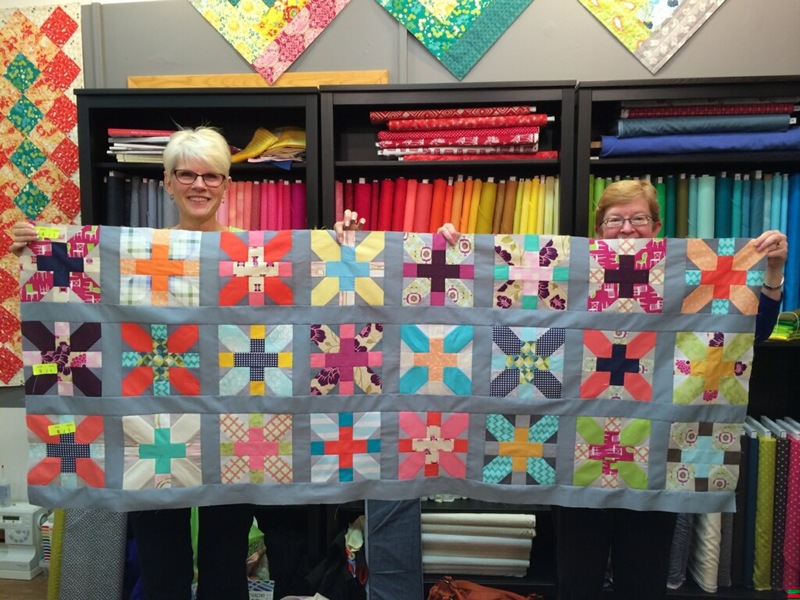 Thank you to all the members who made the + and x blocks for this quilt top! Finished quilt top will be posted soon!